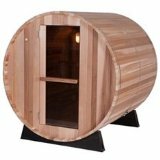 Heavenly Heat Sauna Review - Should You Buy This Niche Brand? Heavenly Heat is a small company that focuses on individuals with chemical sensitivities, ensuring that their products are safe and effective with unique construction methods. They have carved a niche for themselves, and have been quite successful in doing so, in business for almost 30 years now. 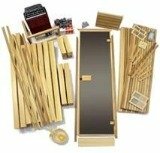 The company makes it a point to emphasize the fact that all of their saunas are made from thick panels and non-corrosive steel screws, rather than strong toxic adhesives like many other companies use. You have three options when it comes to Heavenly Heat Saunas: Far Infrared, Traditional and Combination. 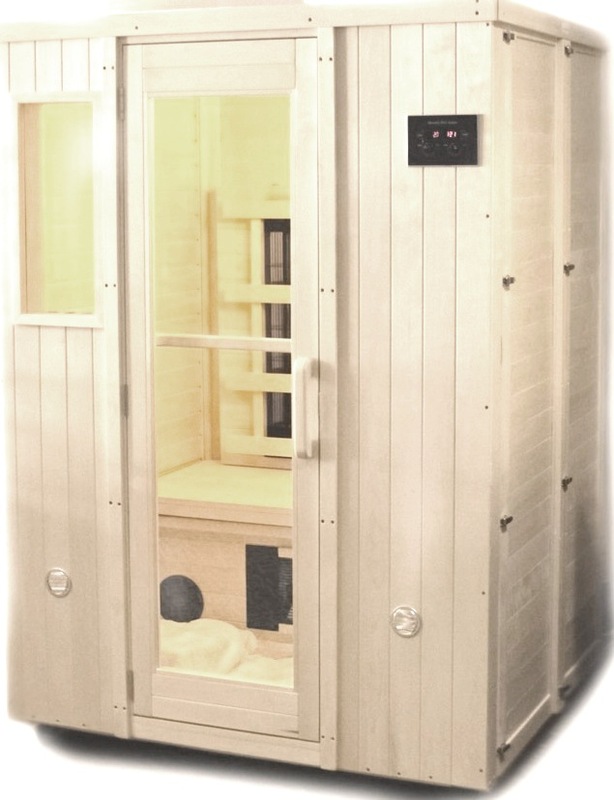 The Far Infrared line includes 2 personal saunas, 2 2-persons, 1 3-person and 1 4-person. 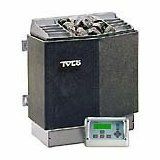 The single person model uses 4 heaters, and the 4-person model 8 heaters. The Traditional line is like you might find in your gym, with stainless steel heaters with sauna rocks imported from Finland. As you might know traditional saunas operate at higher temperatures than infrared ones. The Combination line, as you might have guessed, features saunas with both traditional and infrared heating, and you can choose which one you want based on your preference. There's only one 2-person model, but you can add IR to any model you choose. Why would you choose Heavenly Heat Saunas over other brands? There are a number of reasons. Let's take a look at some of the pros. Perhaps the most important benefit is the company's focus on low toxicity. This makes their saunas a better, safer option than some of the cheaper, poorly made ones on the market. The saunas have no wood glue, varnish or thin cheap plywood. They use untreated white poplar wood for all of their units. Everything is screwed together, not nailed together or attached with toxic adhesives. The heaters are tested to ensure low EMF (magnetic fields). They use thick panels. If you are extremely sensitive, they also have the option of mostly glass saunas, so there is even less wood. 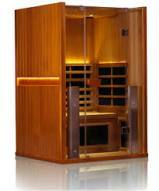 Another benefit is the fact that all of the saunas are made in the United States. Although most saunas are made in Asia, even the very good ones, some people prefer to buy things made in the USA. So if that is something that is important to you, this might be the company you choose. There are a lot of positives when it comes to Heavenly Heat, but there are also some concerns that we have. For starters, there isn't a lot of actual research on their site backing up their claims of low toxicity, construction methods, low EMF, etc. The site is very simple, which is OK, but it would be nice to have some more concrete information on all of their saunas, heaters, manufacturing process, etc. There is no pricing listed for any of the units, and the request form is very basic and doesn't give you an option to select all of the models. There's no Better Business Bureau rating on the company, which is a little concerning because most of the companies we've reviewed are listed with the BBB. They have ben around since 1988, so it's not like they are a new company. We've also sent several emails to the company that have not been replied to, but that could be an email issue and we'll give them the benefit of the doubt for now. For the most part, this seems to be a nice small company focused on providing high quality saunas, especially for those with chemical sensitivities who need the least toxic unit possible. But without supporting studies, it's hard to say whether the Heavenly Heat Saunas are any less toxic than our top infrared sauna companies, so until we have more information we can't confidently point you in that direction. Still, this company is worth looking into if you have any condition where you need to ensure minimal toxic exposure. Give them a call to ask all of the important questions, and if you feel satisfied with the responses, by all means go for a Heavenly Heat Sauna.